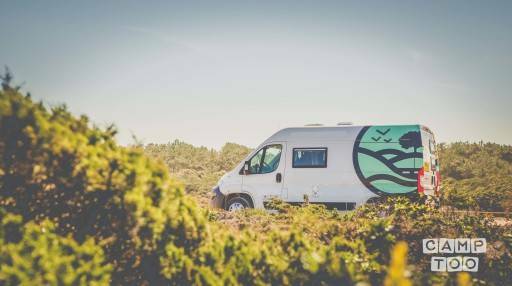 By choosing to spend your holidays in a Campervan, you can experience a different view every morning, enjoy freedom, adventure, beach, nature and being a nomad. The Campervan is good for couples, friends and families (with kids). Travelling in a Campervan is a unique experience!! Je kan de camper ophalen in Lissabon bij Rodrigo.